There are a number of ways to treat water to make it safe to drink, and one of the easiest is chemical treatment. Chemical treatment of water primarily comes in two forms: Iodine, and chlorine. 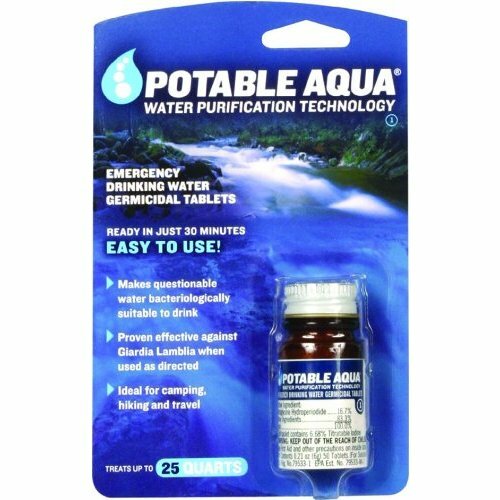 Iodine treatment is commonly found in tablets like Potable Aqua which can be purchased at most outdoor or camping stores. These tablets have been used by the military for over 50 years. Each tablet releases 8 milligrams of iodine into the water which penetrates the cell walls of the microorganisms, rendering them inactive and making the water safe to drink. Use two tablets per quart or liter of water and wait 20-30 minutes for full protection. An unopened bottle has a shelf life of at least 4 years. If you have a different brand of iodine tablets, follow the directions for those tablets. Iodine is a short term water purification solution and shouldn’t be used for more than three consecutive months. The tiny tablets are easy to carry in an emergency kit. If it smells of chlorine. You can use it. If it does not smell of chlorine, add 16 more drops of chlorine bleach per gallon of water (or 8 drops per 2-liter bottle of water), let stand 30 minutes, and smell it again. If it smells of chlorine, you can use it. If it does not smell of chlorine, discard it and find another source of water. Bleach will lose its potency over time, so it is best to use bleach that is less than 6 months old. Add and dissolve one heaping teaspoon of high-test granular calcium hypochlorite (approximately ¼ ounce) for each two gallons of water, or 5 milliliters (approximately 7 grams) per 7.5 liters of water. The mixture will produce a stock chlorine solution of approximately 500 milligrams per liter, since the calcium hypochlorite has available chlorine equal to 70 percent of its weight. To disinfect water, add the chlorine solution in the ratio of one part of chlorine solution to each 100 parts of water to be treated. 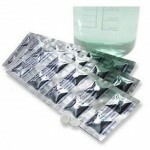 Chlorine dioxide tablets are a third chemical treatment option. Chlorine dioxide is different from chlorine bleach and works through oxidation rather than chlorination. These tablets leave a better tasting water than iodine tablets and are manufactured by Aquamira, Katadyn, and Potable Aqua. 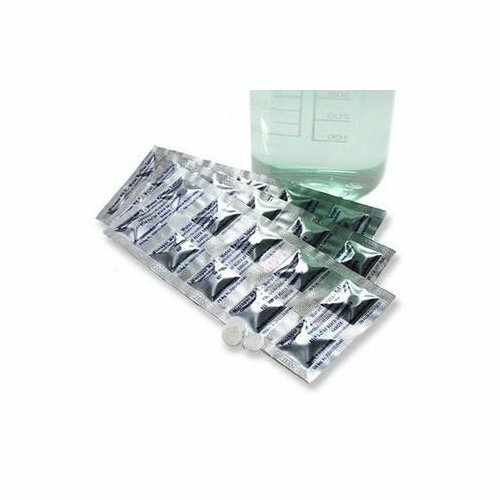 Chlorine dioxide tablets’ average shelf life is 5 years and they are sized to use one tablet per quart or liter (always read the instructions on any water purification tablets you purchase). 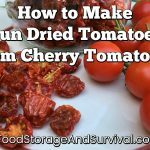 Their small size, relatively long shelf life, and better taste make these a great option for a bug out bag or emergency kit. One of the drawbacks with any of these methods is the taste the chemicals can leave in your water. Taste can be improved by adding powdered flavor mixes to the water. In the case of a chlorine taste, you can encourage dissipation of the chlorine by transferring the water back and forth between two containers. Chemical treatment also does not remove sediment or particulates in the water, so pre-filtering at least through a piece of fabric is advised.